At American Family Fitness, we are excited to help every member on their journey to fitness. We offer personal training, small group training, and nutritional programs for the guidance and support needed to succeed. At American Family Fitness in Mechanicsville, we offer different training options, including one-on-one and small group training. 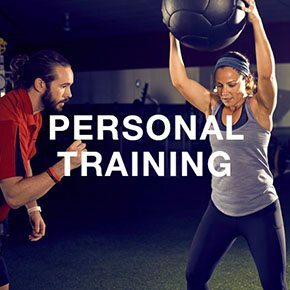 A certified trainer will be with you along your fitness journey, starting with baseline fitness levels, achievable goals, and encouragement for effective exercise. With proper training, along with a focus on nutrition, you will quickly reach your goals! Whether you're a gym beginner or an elite athlete, personal training is helpful for everyone! Our Mechanicsville health club offers personal trainers to help you achieve your goals through an enjoyable routine you can commit to. Let personal training coach you to better health. Do you appreciate the one-on-one experience but also enjoy the energy of a group class? 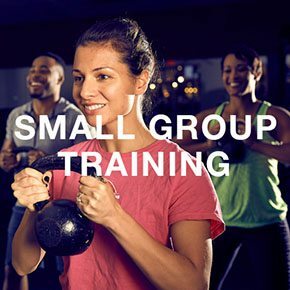 With small group training at our gym in Mechanicsville, you can have the best of both. You will enjoy focused attention while also experiencing the energetic aspect of group instruction. Nutrition and exercise go hand in hand. 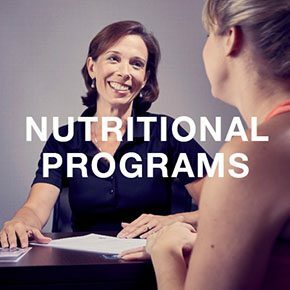 At our Mechanicsville gym, we provide registered dietitians and nutritional programs to help you reach your goals. You will learn about the best food options, types of exercises, and the wide variety of weight loss programs at our health club. Come speak with someone today!